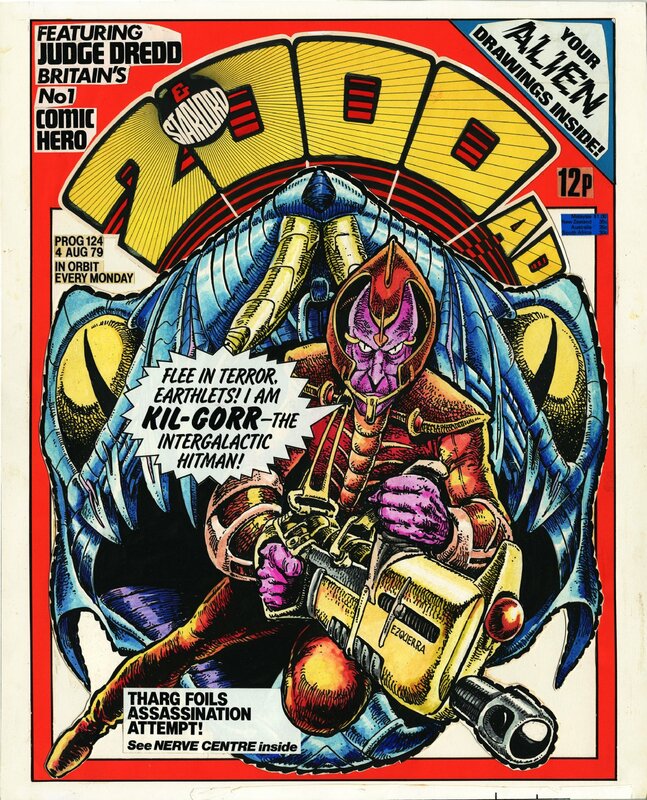 Fantastic full cover early 2000ad cover by the master himself, Carlos Ezquerra. For a brief period, 2000ad switched to offset colour covers, and this gave the artists the opportunities to paint full colour covers. A rare opportunity to acquire a cover from 2000ad's golden age! Art is 40 X 50cm, active art area is 36 x 47cm on heavy art board.